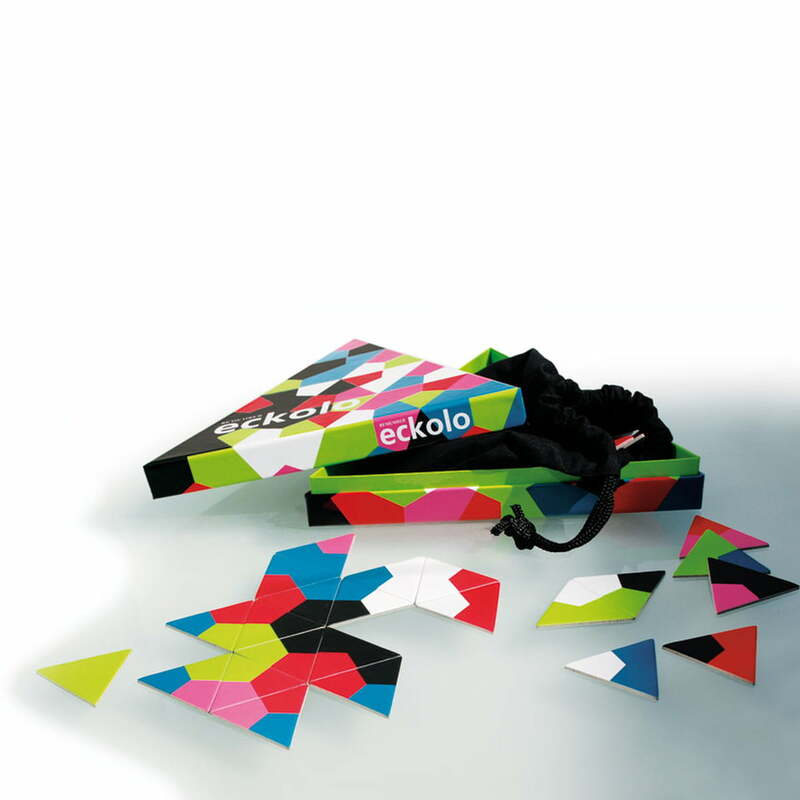 Eckolo is a colourful add-game for several people, young and old. Besides the simple rules, also new forms and colour combinations that emerge again and again, the design and the appearance of the game guarantee endless enjoyment. 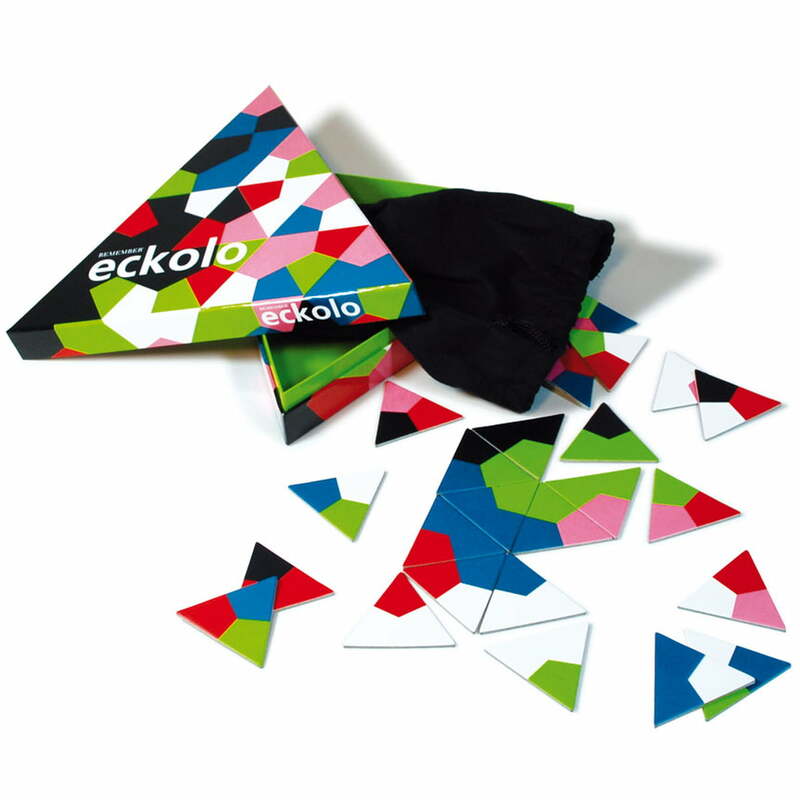 One could jump in a triangle if it is one's the turn, having a colourful suitable Eckolo card to add and not a single card of one's own suits. Since the rules are as easy as they can be. If there is no suitable card in one's hand: take one from the cards tower, until it is possible to add a new one again. 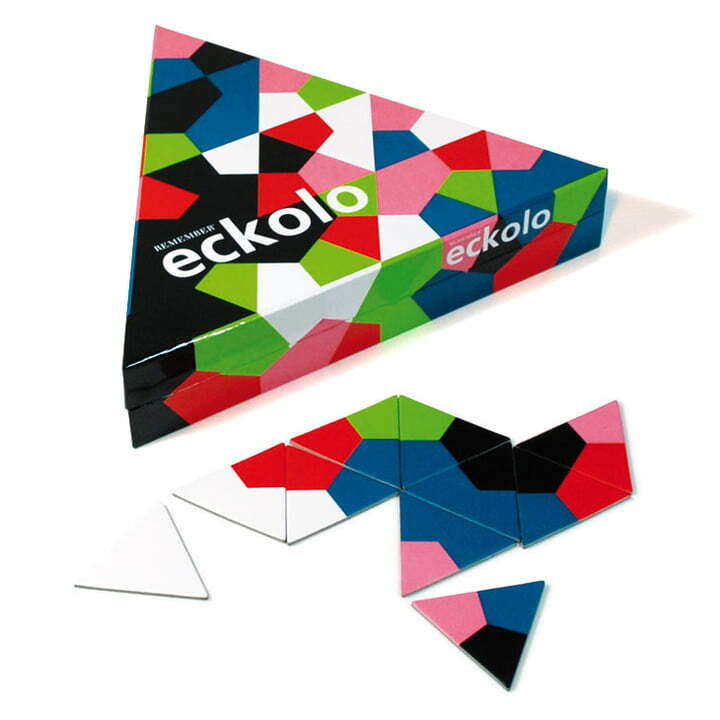 Until the end, Eckolo remains exciting despite (or just therefore) the easy rules. The game is suitable for children from 4 years. 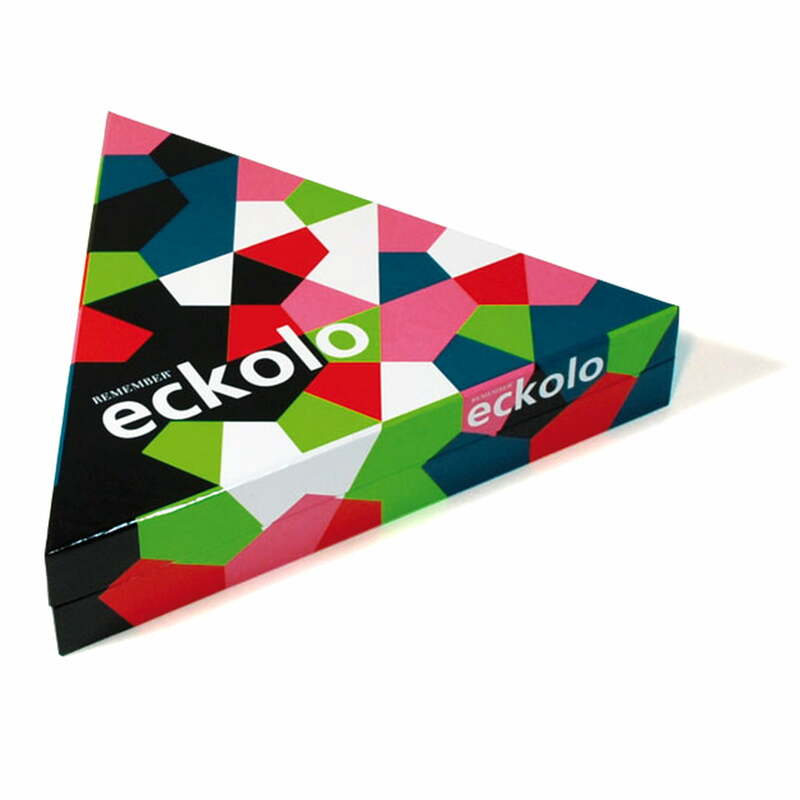 Each Eckolo box includes 76 coloured cards on printed cardboard. Prodotto ben fatto nei materiali e per la qualità del prodotto. Sono decisamente felice di aver aggiunto l'ennesimo prodotto per la mia collezione. Gioco da considerare un vero prodotto da collezione.